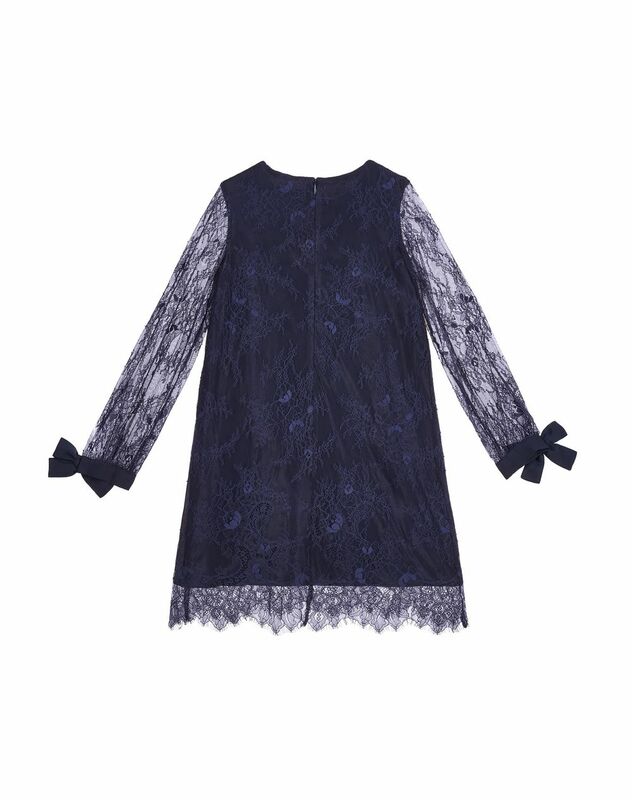 Navy blue lace dress, long sleeves with bows, invisible lining, round neck, and zipper fastening on the back. 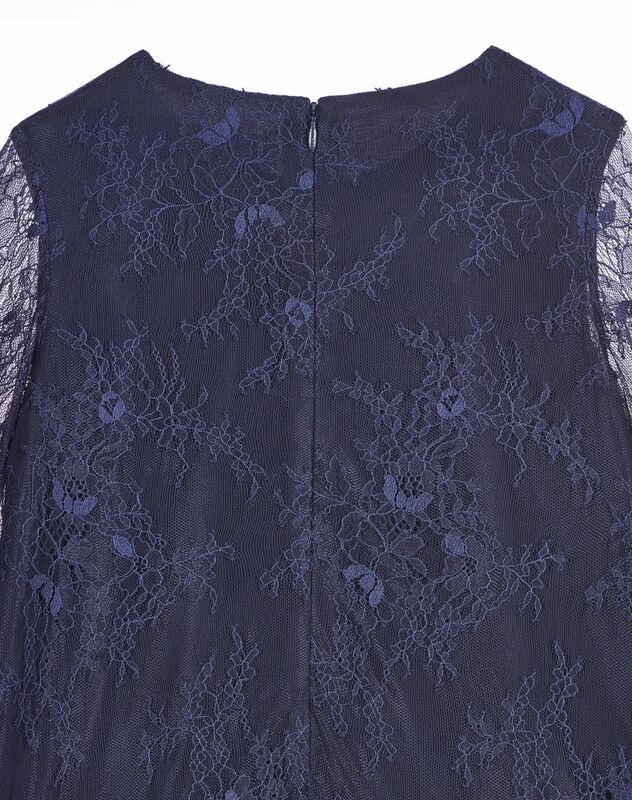 This little navy blue dress stands out for the delicate craftsmanship of its lace. 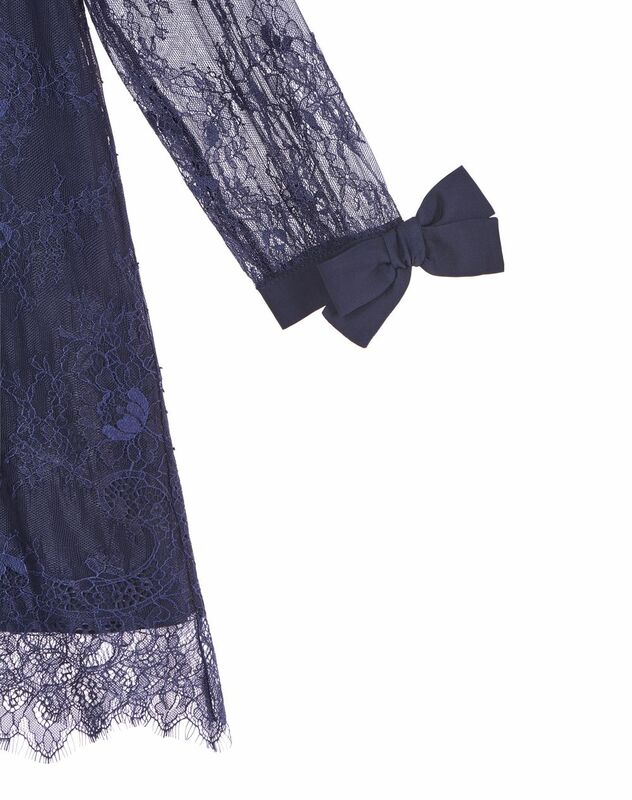 The bow-embellished cuffs are reminiscent of Lanvin’s heritage. 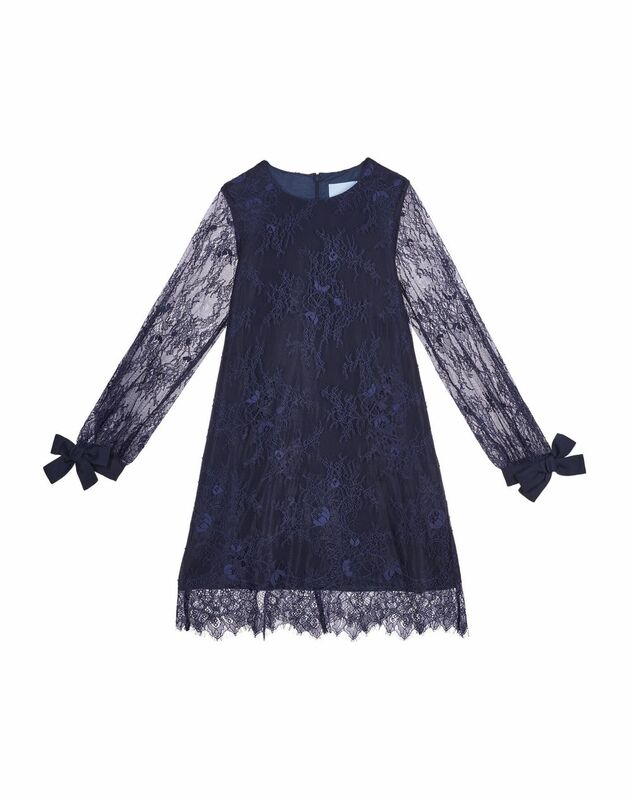 Lightweight and comfortable, this navy blue lace dress provides an elegant silhouette.